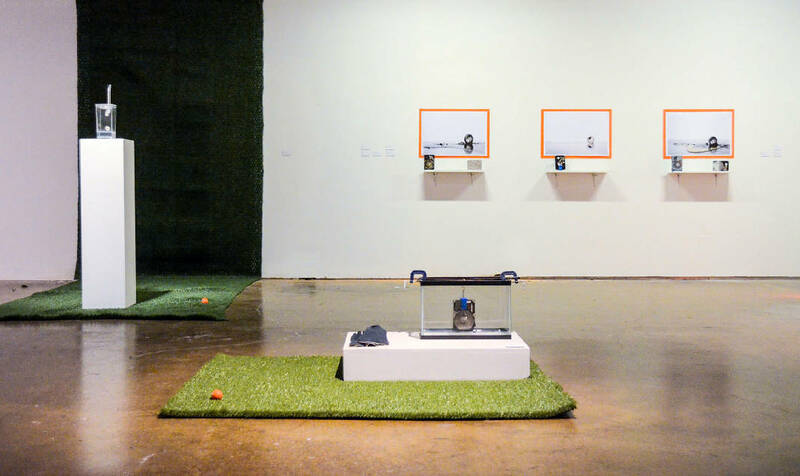 Dallas-based artist Ryder Richards spent a month in Chattanooga, creating pieces based on the CIA destruction of hard drives containing information about torture. 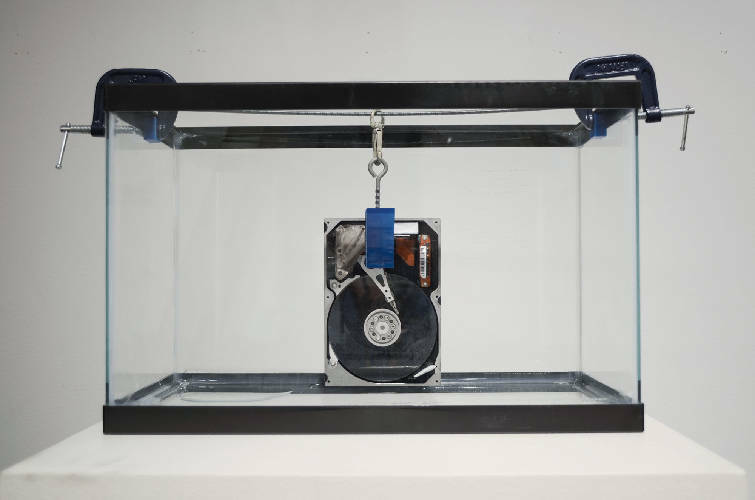 Ryder Richards used an acid bath as one of his methods to damage or destroy hard drives for his artwork. He also used salt and a hammer. The work was partially inspired by news reports that the CIA says it lost 6,700 pages of data related to torture because of hard-drive failures. Ryder Richards is a veteran of the artist-in-residence world, having done nine in various cities around the country over the years. The Dallas-based artist likes to bring his own ideas and skills, then make new art based on what he sees and the people he meets in the new city. Richards, 39, is the first resident in the new Artist Residency Chattanooga program created by local art advocates Aaron Cowan and Adam Kirby. The two conceived the idea a year ago with the hope that it will bring artists to town who have a high level of skill in their craft but also have the ability to connect and communicate with people in Chattanooga. Cowan believes Richards fit that bill. "His art is fantastic and he has an excellent sense of craft that is backed by a really informed conceptual idea," Cowan says. The program, abbreviated as ARC, is still in its infancy, Cowan says, so he and Adams still are looking for funding that would allow them to offer a stipend to the artist. They also are looking for a new gallery space. Richards' work was shown in The Swine Gallery, a now-closed location inside Cine-rama. The local film-related group also has left its former space inside the old Grocery Bar on Main Street. Cowan says a big part of ARC is for the artist and the community to interact. "We want the art and the artist to stimulate you and make you think about the work as opposed to just appreciate it," he says. For his part, Richards says being an artist-in-residence offers him a chance to find inspiration by visiting a new place. Only by being in a city can he find things that inspire him, he says, then have conversations and offer insights to locals from a new perspective for them as well. "Going up on Lookout Mountain and seeing all of these old cannons and they are pointed at the city, and you have all these kids sitting on them," he recalls. "It was kind of surreal. These are war artifacts and it's like the city is under siege all of the time." The mountain's name also struck home to him. "It's like 'Lookout Mountain,' where you can see long distances, but it's also this cautionary thing, like 'Oh my gosh look out!' And so you have these antique artifacts and yet it is very valuable for communications with all of the cell towers." To create his work in Chattanooga, he used those new ideas and combined them with others he already had in his head about the CIA and its claim to have lost 6,700 pages of information related to torture. "This is the agency the government turns to find lost data on hard drives and it lost and says it can't find it?" His new pieces focused on ways to destroy a hard drive. One was burned, one was filled with salt while another was destroyed by electricity. He compared destroying a hard drive to the torture of human beings. Contact Barry Courter at bcourter@timesfreepress.com 423-757-6354.